One of the more curious contributors to local Republican coffers for the 2011 local election was one Howard Gary Heavin of Gatesville, Texas—which last time I checked is not near Loudoun County. 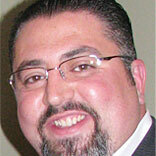 Heavin contributed a cool $75,000 to the successful campaign of Delegate David Ramadan. The connection between the two is apparently that Heavin is the CEO of Curves Health, a franchise operation of women’s fitness centers, and the Lebanese-born Ramadan is a Curves franchisee, as well as the apparent mastermind behind expanding Curves franchises to the Middle East and India. I’m sure it was just an abundance of collegial pride in a protege doing so well in his adopted land that prompted Heavin to part with 75 grand. Of course, only someone with a cynical and business unfriendly attitude would imagine there is anything suspicious about this transaction, and no doubt our board would have taken this urgent action to remove a major, long-recognized obstacle to business development in our county even if an out-of-state donor who happens to own a health and fitness center franchise scheme had not been so generous to one of their own. On the other hand, once upon a time people went into local politics because they cared about issues, policy, and making their communities a better place. Now apparently it’s a part-time job for globe-trotting business executives like Mr. Ramadan, or real-estate development lawyers like our other new local GOP delegate Randy Minchew, who view the people’s business as merely an extension of their own.